So we had a great game but if anyone is like me and cant wait for next years game, well then I want to know what you will be planing to add to your army over the next year! I will be adding another 100 Guardsmen and 3 Gorgons, maybe a super heavy tank or 2! Or should this be a discussion of ideas for next year's game and rules (we all have the new apoc books right)? it will add layers to the game, mountains of lascannons will not drop titans in turn one and leave the super heavies to pound eachother with units pushing the bridges (which could be 4x4 tables if they could be built or 4x6's so the gap is only 48" instead of 72" across) and flights of transports shuttling insertion forces across the gap with deep strikers and drop pods. Once on the other side players will NEED to work with their allies for support adding the opportunity for a lot of narrative to the game. 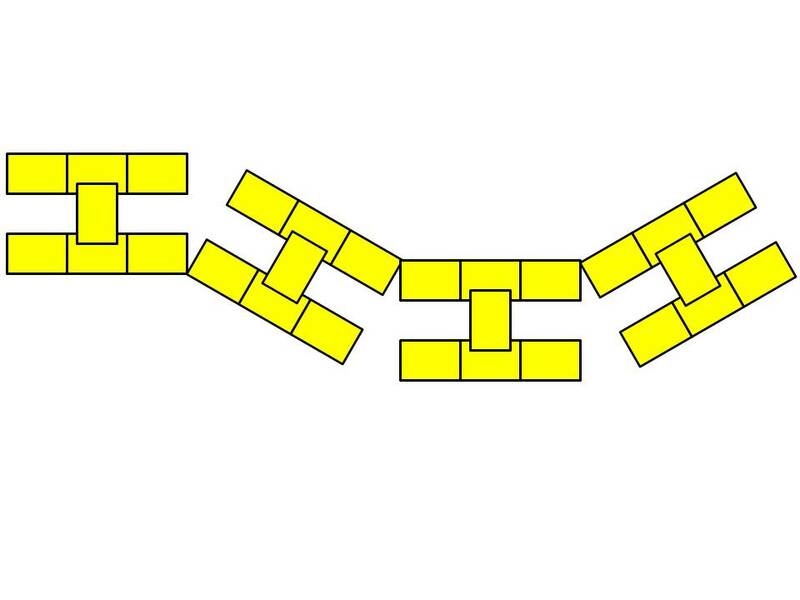 Instead of a winding zig-zag the I's could be rounded so make a "hive city" or "sensitive site" that a force is defending/assaulting out of. I'm not sure about everyone else... but I'm ready to get started on the arms race AND anything else to make it a better game for everyone. Things will still blow up - especially with the D-str increases. Yeah that set up looks like it would work good too. I think next year I am gonna add some titans to my necron force, I was thinking of doing some scratch building. Maybe a big tomb spyder looking thing? Also will probably add 80 more warriors, for a total off 300. WE ARE THE NECRONTYR WE CLAIM DOMINION OVER THIS THREAD SURRENDER AND DIE. "Apocalypticon is like an arms race on plastic crack and I am thrilled to be a part of it." Last edited by crashcanuck on Sun Jul 28, 2013 11:53 pm, edited 1 time in total. kernbanks wrote: Or should this be a discussion of ideas for next year's game and rules (we all have the new apoc books right)? You beat me to the graphics, I've been waiting to write this up till I actually got home! There should only 2 tables (12 feet) at each end of the I, otherwise it gets too hard to get to everything, and you need lots of tables for assaulty armies to go head to head. The deployment zone should extend about a foot into the center of the I. Think of this as combined masses of armies, not a lot of 1v1 or 1v2 battles. Team A on one side, team B on the other. The blue area is just for turn 1 to keep space open for those sneaky types. If the army points is larger, just shrink the blue down to about 6". The ends of the I's need to stay at least 3 feet apart, otherwise the walking distance from one side to the other takes a long time, and is like being on the inside of the horseshoe as the table layout has been for the last few years. There are about 10 (5v5) players assigned per I, with about 3 feet inbetween the I's for access. A "marshal" should be assigned to each area for rule questions/decisions and keeping things flowing. Outflankers can only come on the table edges in blue on the graphic (but not the center), flyers can fly off the table toward the center edge, and appear a turn later in the blue area, but a marker should be placed where they will show up. It helps to have a "warlord" assigned for each side to step in if someone is missing, and to help coordinate the mass. Late players stuff just to to reserves. Super/gargantuan can shoot at each other only, no shooting the little stuff. Assault type titans/gargantuans can mix it up in the center table, but no shooting the little guys! Deep strikers anywhere. To emulate that "we have them on the run, this will crush them" strategic tactic. Flank march asset is open to any table edge. Objectives should 1 per table, but the center table is worth more. VP's are added every turn. Objectives in the deployment zones should offer flavor, like an ammo dump giving your section "-1d6 on scatter dice" so there's a reason to go for them! Since the imperium won this year, they should be the defenders next year and be allowed fortifications. Ban defense lasers, or limit to 1 per side at 2000 points each. They should be like the photo, about a 2 foot by 2 foot installation. Imagine 4-5 stompas leading a green tide down that center table against a dark angel bike formation, or entrenched imperial guardsman... Or a giant imperial fortress with warlord sized doors and trenchlines all over that has to be breached. Though that giant road leads right down the center table for a nice fast stompa run! Could add another vertical off the bottom to simulate the guts of the fortress/city, 'nids pop up at the back 24" of that table and fight forward. Terrain would only really need to be on the center tables of each I, leave lots of room for the armies to set up, or fortress walls and trenchlines that will become a stable of v6 apoc. I'll post more of the details, I have to get to bed since I have another 6 hours driving tomorrow AM! agreed on the "inner" city... or crons, or chaos/daemon from a warp rift, those inquisitive imperials are constantly digging up ruins that should be left untouched. and that gives cohesive theme... Orks attempting a breach for the reason orks do is simple... but if one is an eldar force they may be trying to prevent some great cataclysm or awakening, farsight and tau similarly working for some greater good, chaos loves to get their hands on relics... all of these "themes" can also drive some objective control events. Say chaos controls some combo of points a great warp portal opens and all their daemons (even ones previously killed) can pour forth. 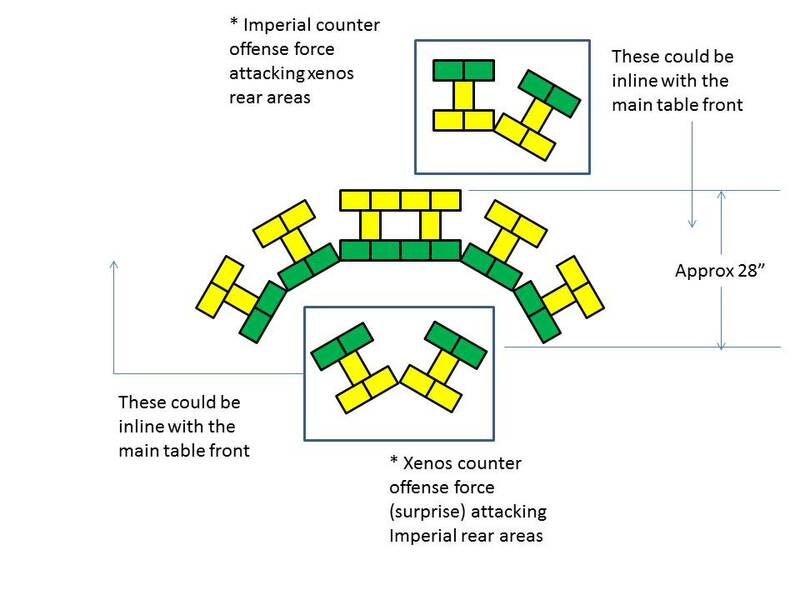 but in the imperial lines / bridge tables a control of power generators, power switch hubs, comms links, weapons, and shield generators can bring more firepower to the table... and if the power is turned on by who ever is controlling that one then everyone who has a switching house can decide where it goes. yes a little more complicated but at the same time adds great story and more destruction. The one aspect this somewhat depends on is more "unified" Armies to be brought by players. There is plenty of room for mixing some codex's into a force but the new Apoc books, "bring anything" makes any type of story very hard to maintain. The only difficulty I see with this is a place to keep our models off-table. We have to be able to easily reach our reserves and remove our "dead pile" from the table. Those who are in the "Imperial Codex's" area are going to be hard pressed to find a safe place to put all of their models without any getting stepped on. Randolph wrote: The only difficulty I see with this is a place to keep our models off-table. We have to be able to easily reach our reserves and remove our "dead pile" from the table. Those who are in the "Imperial Codex's" area are going to be hard pressed to find a safe place to put all of their models without any getting stepped on. very true... that's why experienced comments are always welcome. However in this case I think we have an easy out... the "inner loop doesn't need to be inside the arc. if it is inside the city/manufactorium/excavation site then forces wouldn't really be supporting each other with direct fire - instead objectives inside would effect the battlefield outside and visa-versa. so team work between the two there would be more coordination and less 'lending templates'. for that matter, all imperials wouldn't need to "defend" doing a quick add up this only puts 24 players per side based on the 4" frontages used this year. 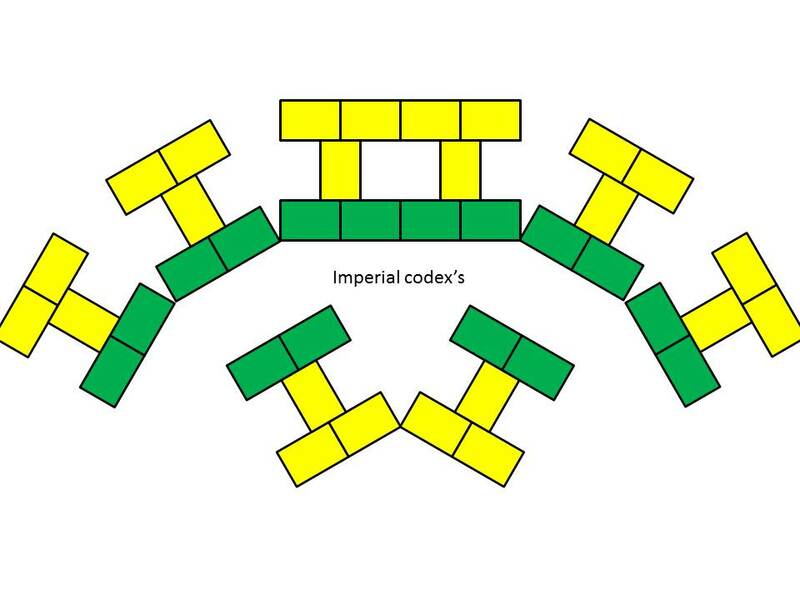 another of the double or triple I's would be "behind" the xenos lines representing an Imperial relief force attacking the back of the xeno lines from another city or dropzone. again, not really template trading range, but objectives could control shields/artillery on the 'main' line. 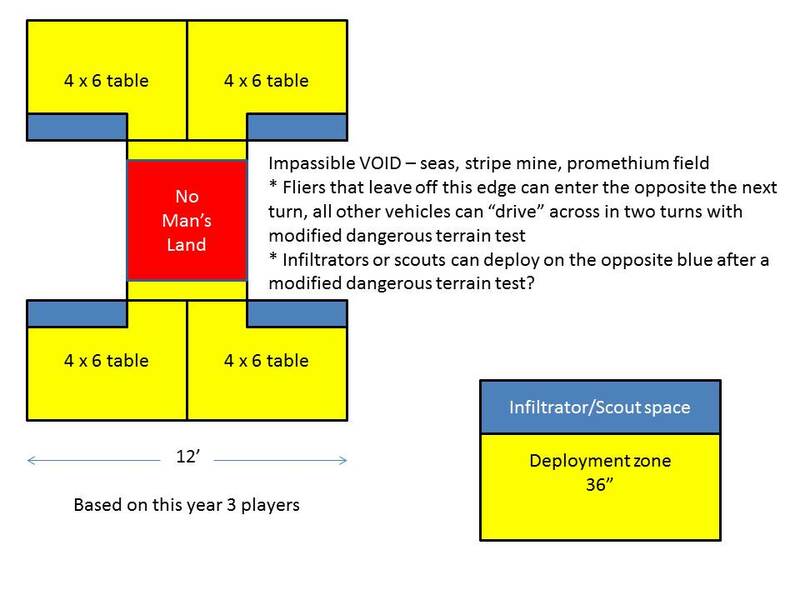 each player front would have an additional 2sqft (6" x 4') of deployment space as well, so less in reserve. Additionally - while I enjoy the bidding, new Apoc doesn't have it in many of the scenarios... it might be more exciting just to have 30-45 minutes where BOTH sides set up at the same time. that way a lot MORE will start on the table. Ultimately better representing "We the PLAYERS of Apocalypticon" taking over the battle that has already been engaged. Not to be whatever, but we got here early this year for the express reason to get a table and I still couldn't set up my stuff. On your end of the table you guys had extra table space. I had to put it all under the table still in cases. Even though we bid 5 minutes I couldn't get out as much stuff because of the lack of space. I also really like the new deployment idea in the book where each team gets same amount of time to deploy, then you just flip a coin. I also didn't like that I had to have 20k of crons smooshed into 1 table. I had to wait till turn 4 to bring on my second wave of 100 warriors (because there wasn't enough room.) I was really planning on the 8k per table like the last two years. If it is a lack of actual playing tables some of us could help bring/make some. Hard for me because we would have to bring the tables over the boarder. This new set up sounds good, and solves some problems. I just figured that I would give some constructive criticism. I have tinkered with the idea of supplying a table as well. My only real complaint with Apocalypticon is the lack of terrain. I know we need lots of room for the masses and such, but it would be nice to have a bit more scenery on the table, especially considering cover saves mean nothing to D weapons. 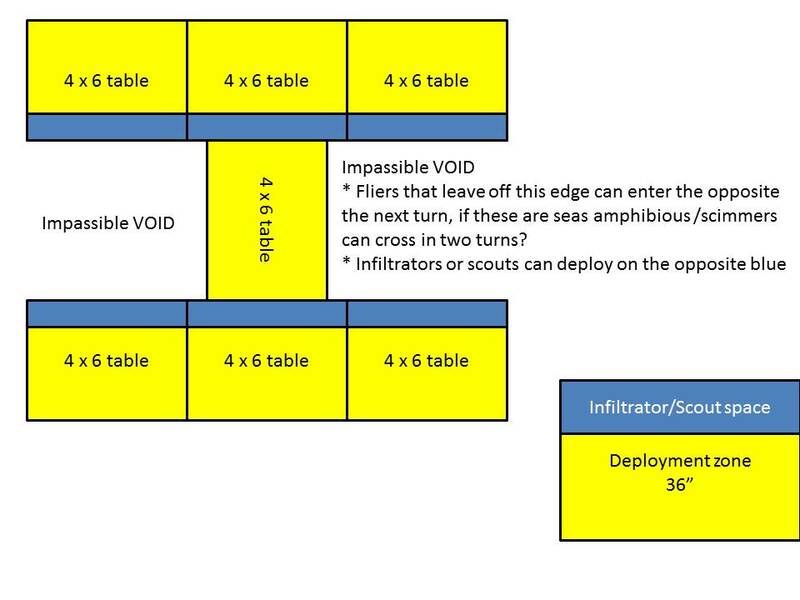 As for the table layout suggested, I love it. Former MWG Leland, now just regular, old Leland. Now with more grump! I have to admit, setup space was premium real estate. I'm really happy I brought my cart and poster board, otherwise I would have got next to no deployment space. You pretty much need as much space for pregame setup of armies as you do play space. Plus a decent setup that allows for easy movement and storage of miniature related baggage. I want to run a massive gaunt swarm one year, and will have to think of ways to facilitate that.. Suggestion for next year regarding turns/setup: Why not have both teams have the same 45 minute setup, with the stipulation that once a unit is placed, you cannot move it again until first turn? With turns: 45 minutes as usual, but have a 15 minute break in between. For venue, would there happen to be any say... high school gymnasiums available? I mean, if we're shooting for 1 million points, we're gonna need all the space we can get!